I know this is a very controversial topic here but please not hate or flamewars and argue in an organised fashion. This is my second debate on this website yet this is also the first debate that I am holding. Well I have not much else to say I guess. I accept this debate. I will reply very quickly so here's to a quick and engaging debate! Now note this. I am not against Israel being a nation. I am against how they became a nation. They practically colonised Palestine in the process of becoming a country. As you can see here it shows the Israeli occupation on Palestinian Lands. Now how did it get that way? Now despite common misconception. 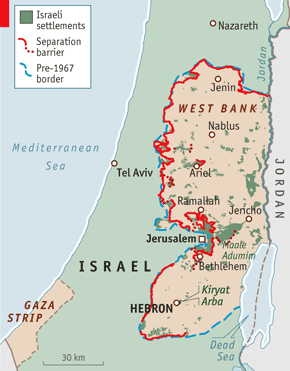 The Israeli-Palestinian Border disputes was not a long conflict that has lasted hundreds of years. It actually originated as a result of an interaction of Early Modern Super Powers of the 20th century. French and British powers in that time showed and interest in Mediterranean Trade (Mainly in the Suez Canal region of northern Egypt) that led to in the Indian Markets. But the Ottomans (now modern day Turkey) had presence their. A navy base in the Levant region of the Middle East. That posed a direct threat to the British and their interest in the Suez Region. So what do the the French and British do? They divided their colonies and lands in the Middle East in order to make it virtually impossible for the Ottomans to control them all. A century later , these smaller divided regions of the Middle East become independent Countries. This was the origin yet what was the trigger to the conflict? Before the Jewish occupation of Historic Palestine Post WW2 (not trying to point a finger at anybody) The region that is called Israel today was a colony Known as the British Mandate Territory of Palestine. Now here is where I get to my point. Now I do know that there is more info to be explained but I shall go on with that later into the debate. 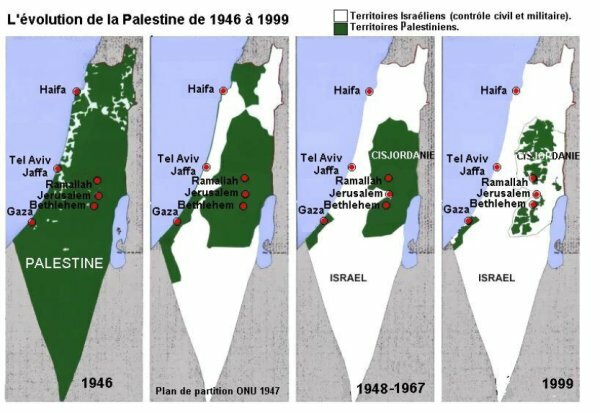 My point as to why Palestine should have recognized state hood is because like the maps shown above. They were oppressed in many ways. Their lands taken from them ( I'll get to that later) and with the UN plan of 1947 things only continued to get worse from that point onward. 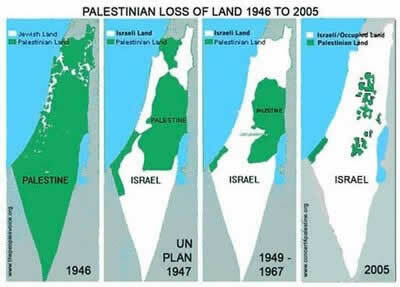 That is why Palestine should be given statehood. It will give Palestinians what they want and open up to actually peaceful negations with Israel for the future. I thank Pro for making his arguments. I suggest that for future debates, the topic could be phrased as a question, such as "Should Palestine be granted statehood?" It would make the crux of the debate much clearer. From Pro's case, I can infer that we are discussing whether or not Palestine should be an independent nation from Israel. Therefore, Pro supports the two-state solution, which is essentially the idea that we should partition the entire area for Israel and Palestine, thereby creating two sovereign states. In my case, I have three substantives. Firstly, circumstances make it exceedingly difficult to partition the countries. Secondly, partitioning never solves the conflict. Thirdly, decisions about statehood are rarely dependent on what is "fair" in a legal sense. The establishment of an independent Palestine state requires Israel to give land to Palestine, so that they can exercise sovereign power over these lands. The power of any government comes from their absolute sovereign control of their own lands - look at Afghanistan where the Afghan government has barely any control outside of Kabul. However, giving land isn't as easy at it seems. In many of the contested areas, there are Jewish settlements which are difficult to move. In other areas, there are farmlands tilled by Arab farmers. Dividing portions of land along any single line (such as the 1947 UN agreement) would unfortunately result in Israelites in Palestinian land, and Palestinians in Israeli land. Furthermore, Israel's main objection to the two-state solution is the fact that the 1947 borders causes Israel to have a small patch of land 6 kilometres wide, which is militarily indefensible. On top of that, the Gaza strip is separated from the main Palestine area, which creates problems for administration and unity for the new Palestine government. Why is this such a huge problem then? When we cannot partition lands according a neat and clear-cut line, what happens is chaos. Israelis on the wrong side will be forced to give up their possessions, and flee to the new Israel. The same will also happen for the Palestinians. Border controls would be out of the question when hundreds of thousands of people are trying to flee to another country. In fact, given the long-standing hatred between the two, it would be unsurprising to see armed soldiers firing at fleeing civilians. This would be a horrendous repeat of the Indo-Pakistan partition, where millions of Hindus and Muslims died as they tried to cross an arbitrary border which left them at the wrong side of their country. The Israeli-Palestine conflict is fundamentally so complex that there is no way to say that there is a definite "issue" at the root of the matter. Reasons for why it is so intractable include historical baggage, religion, and geopolitics. After all, it is evident that Israel's belligerence comes from America's unconditional support for its country and independence. Given that the conflict is so deep-rooted and complex, it would be naive to think that making Palestine into a state would help to resolve, or even lower tensions between Israel and Palestine. The conflict between them runs far deeper than a mere geographical clash. For one, they fundamentally disagree on the status of Jerusalem - their claims for the city are mutually exclusive. For another, there is so much mutual distrust due to the assassinations, wars, and killings that have happened between both groups. Granting Palestine statehood would have not reduce tensions at all. In fact, I will argue that it is inflammatory, and reverses any progress made on resolving their conflict. - Giving Palestine a state without any form of negotiation with Israel would result in utter outrage from the Knesset, who see themselves as betrayed by the world in refusing to consider their opinions on the issue. Since any form of peace resolution requires both parties to compromise and agree on divergent issues together, such a unilateral move will only anger Israel and make it less likely that an agreement can be reached. - Palestine as a state would be fundamentally weak because the government would be too poor to carry out any schemes. Rich Middle Eastern nations like Qatar and Saudi Arabia are likely to pour funds into Palestine to help them. As foreign aid from the Middle East goes into Palestine, Israel would feel threatened by the rapid rise of Palestine, especially since they are just neighbours. We all know that a threatened Israel will do what it thinks will eliminate the threat (bombing of Iranian nuclear facilities, Gaza war in 2007), so they may resume military action against Palestine even if it was an independent state. Therefore, giving Palestine statehood does not solve the underlying conflict between the two countries, and in fact is counterproductive towards the long-term peace process. This might be a difficult issue to swallow, but in the domain of international relations, the decision to grant a particular group of people statehood is not about rectifying injustices of the past, but about the present-day realities. The legality of statehood is dependent on the idea of sovereignty, which invests power over the land into the government. Yet, sovereignty is a man-made concept. After all, governments wield no 'physical' power over the land. This power is created when other governments respect your country's right to make decisions on your own land, and when you provide that respect to all other governments. Therefore, the notion that there is an objective legal basis for statehood is mistaken. Statehood is created through the mutual respect that governments give each other over the land that they are controlling. Many people argue that we should return to the borders drawn up by the UN resolution in 1947, because this is 'legally right'. Firstly, as I've already established, legality in international relations is based on customary law, rather than strict doctrinal law. Hence, UN resolutions are not the firmest basis for legality. Secondly, even if I did accept that UN resolutions are legally powerful because of the UN charter, the UN has also simultaneously recognised the intricacies of the situation and have not really pressured Israel into going back to the 1947 borders. There is an implicit understanding that those borders are now unsustainable and will only serve as a basis for negotiations. Therefore, it is not truly legally valid, and even if it was, it is not such a flagrant violation of international law for people to act. If statehood isn't about legality, then what is it about? As we saw with the self-declared independence of Kosovo, statehood is simply about global recognition of your power over a circumscribed geographical area. The US, UK, France, and other major countries recognised Kosovo as an independent state, and it has remained as such ever since. Similarly for Sudan and South Sudan, they have persisted because people do recognise their autonomy. In contrast, the Chechnyan region in Russia had always pushed for partition, but given that nobody has stepped up to recognise them, as of today they remain part of Russia. In conclusion, giving Palestine statehood is messy, bloody, doesn't solve the conflict, and not legal anyway. Side with Con. An understandable reason indeed. Though I have a question. If Palestinian Statehood cant solve the problem. Palestine wants statehood. In 2012 the United Nations voted for whether Palestine should be a member of the UN or not. Of the 50 countries that voted. Over 80% (40+) voted for Palestine. So that is proof that Palestine can become a nation legally. Second you said that Palestine becoming a state without negotiation would result in a reverse of the progress that has already been made. That would seem reasonable at first. Yet remember. Palestine cant become a state without negotiations with Israel. The only problem is that Israel isn't always willing to negotiate on that. As for the Jewish Settlements in Palestine and Vice-Versa . You don't have to remove them, Just keep the Jewish settlements in Palestine once it becomes a nation yet don't have the settlements advance much further and vice-verse with the Arab farmers. 1. If Palestinian Statehood wont solve the conflict then what will? Please go into detail on an alternative that doesn't involve Palestine becoming a state at the end. - Pro has conceded his substantive argument that we should give them statehood due to historical grievances. Pro agrees now that it should be based on consent with countries. - Factually speaking, your example is incorrect. The vote was whether to upgrade Palestine from observer entity to observer state. While this may seem like a huge jump, the other observer state is the Holy See (Vatican City), which frankly isn't an independent state. - Pushing for full membership was stopped by UN Secretary General Ban Ki-Moon, who said that Palestine needed UN Security Council approval to clarify its statehood. Given that US holds a veto in the UNSC, giving Palestine statehood is unlikely to materialise. - It also matters who recognises your cause. Given that Israel (her neighbour) and the US (the dominant world power) do not recognise Palestine's claims to statehood, this means that even with substantial international support, statehood might not be 'legally' given anyway. - Fair enough, so it's Israel's fault. Today's debate isn't about Israel's responsibility in the conflict though. - Furthermore, if Israel has been unwilling to negotiate about it at all, it surely shows they are fundamentally opposed to it. Therefore, unilaterally giving Palestine statehood would simply anger Israel, flare up tensions, and destabilise the region. Hence, Israel's unwillingness to negotiate statehood proves my point about how pushing through statehood is counter-productive. - When these settlements are right in the middle of the West Bank, which is the land "given" to Palestine under the 1947 resolution, how can Palestine form an effective governance that excludes these Jewish settlers? - In any case, there are no Arab settlers in Israel. Therefore there isn't a way to 'swap' land either. Now, I'll go on to detailing my alternative in this debate. There is no alternative to diplomacy and negotiation. Statehood for Palestine can only follow from mutual agreements between Israel and Palestine. When we talk about statehood, we are not merely concerned with the legality or possibility of establishing today's statehood. In fact, the Palestinian Authority can simply step up and say they declare themselves as a sovereign state today, and people might agree with that. But the real question today is: can this statehood last? There are two reasons why it won't. Firstly, Israel will simply invade Palestine (again). It did so against Gaza in 2007 when tensions with Hamas ran high. It has done so for the past few decades. Simply put, Israel's top priority is the protection of her national security. Declaring statehood would pose a threat, since anti-Israel plots may be hatched without the Palestinian government attempting to stop them. Hence, Israel would simply invade and crush a rather defenceless Palestine. Hundreds of lives lost, thousands more disrupted; is this really what we want to do to Palestine? Secondly, even if Israel doesn't invade Palestine, there is no way that the Palestinian Authority can exert influence over a crucial area: the Gaza strip. Currently, Gaza is being governed by Hamas, which is a militant group bent on eradicating Israel off the face of the map. In contrast, the Palestinian Authority is more peaceful and has sought a diplomatic solution to the conflict. There is no way the PLA will be able to convince Hamas to lay down its arms and act as a peaceful government for the region. Therefore, once Hamas attacks Israel, this will constitute an act of war, and so Israel will now have legitimate reason to invade Palestine. Therefore, since statehood won't last in the long term from a forced attempt to give Palestine statehood, how will a negotiated solution allow it to survive? This is because the crucial factor determining Palestine's long-term survival is support from Israel. Palestine is defensively in shambles, and economically weak, making it a simple target for Israel to eliminate. Unless Palestine convinces Israel to support her rather than repeatedly undermine her, Palestine will never have any stability in her region. Even if Pro argued that foreign countries can send military aid or help to Palestine, this will merely exacerbate the conflict as more soldiers enter the West Bank and threaten Israel's national security. Ultimately, Palestine will become a chessboard for other governments to engage in a proxy war over the Middle East. The only losers in this conflict will be Palestinians, who are again trapped with nowhere to go. Since Israel's support and agreement is fundamental to Palestine's long term stability, and negotiation is the only way to achieve it, therefore it follows that negotiation is the best and only solution that Palestine should adopt if she wishes to gains statehood and keep it in the long run. Reasons for voting decision: Con provided a detailed and stronger argument for his argument. Con wins the debate. No one wins conduct due to forfeits on both sides. No one wins the source point. Good luck to you both in future debates. Reasons for voting decision: CON refuted many of PRO's arguments and also constructed his own in Round 3, which PRO never responded to. Both sides lose conduct for forfeiting. PRO had more reliable sources than CON. S&G was approximately even.